Sistas Caring 4 Sistas doula Wakina Norris (left) helped deliver Jared Baten's baby boy Jahir, just four weeks ago. Baten says Norris helped make sure her wishes for a natural birth were carried out in the delivery room. Numerous studies on childbirth in the US present a grim fact -- racial disparities persist in the delivery room. Rates of maternal and infant mortality during childbirth are disproportionately higher among African American women in Buncombe County, and nationwide. That stark reality is what prompted a group of women in Asheville to organize and start a doula service for women of color and for women without the financial means. For those who aren’t familiar, a doula is kind of like a birth coach. Unlike midwives or nurses who deal with the clinical aspects of childbirth -- doulas are there to provide emotional and educational support to mothers. She says she’s even had a patient request to belly dance in the delivery room. Essentially, the doulas with SC4S are there to advocate for the expectant mother and make sure her wishes are respected. So that ultimately, the patient has a successful and positive birth experience. Cindy McMillan is a doula and director of marketing and education for Sistas Caring 4 Sistas. She says she's seen racism play out in her own birth experience and in the lives of women she serves. “I’m not saying it’s every doctor or nurse, I’ve seen them praise and encourage the white woman," McMillan said. "And I’ve seen them totally ignore and be sassy and sarcastic to the black woman and not show her the same respect." That’s important. Because for women of color, childbirth can be traumatic. Nationwide, CDC data shows maternal mortality rates among black women are disproportionately higher -- with 40 deaths per 100,000 live births. That’s compared to 12.4 among white women. 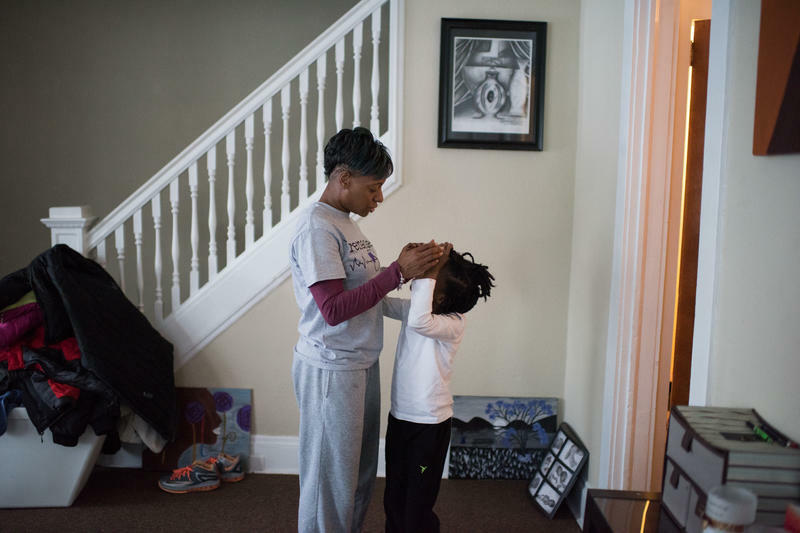 Infant mortality rates among black women similarly paint a bleak picture. In Buncombe County, black babies are three times more likely to die in their first year of life. That’s according to a study from the Mountain Area Health Education Center, where Amanda Brickhouse Murphy is a nurse midwife. She says local providers spurred into action after a women's health conference a few years ago that addressed the topic of racial bias in the delivery room. “If we improve that outcome, we improve so many other social determinants of health,” Brickhouse-Murphy said. 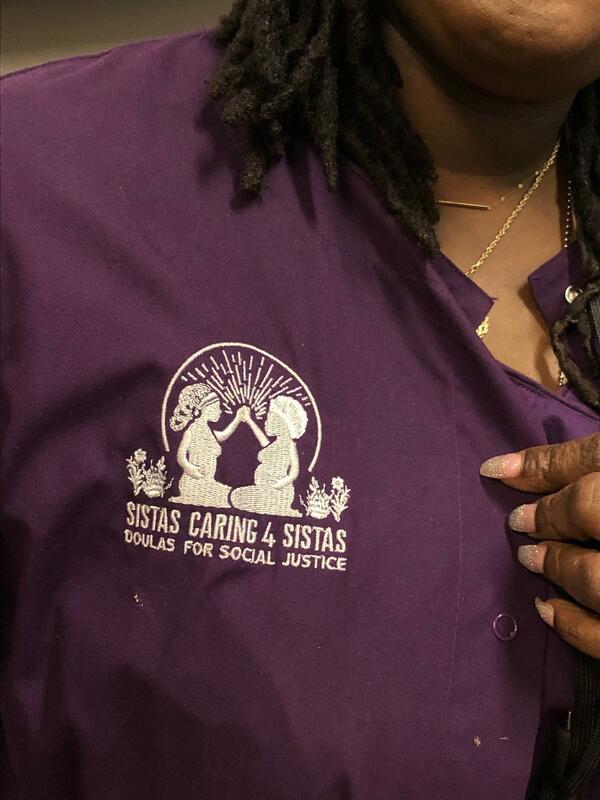 With the assistance of a grant from the Blue Cross Blue Shield Foundation, MAHEC and the organization Mothering Asheville helped launch SistasCaring4Sistas. Six women completed their doula training in 2016. The nonprofit primarily serves patients on Medicaid. 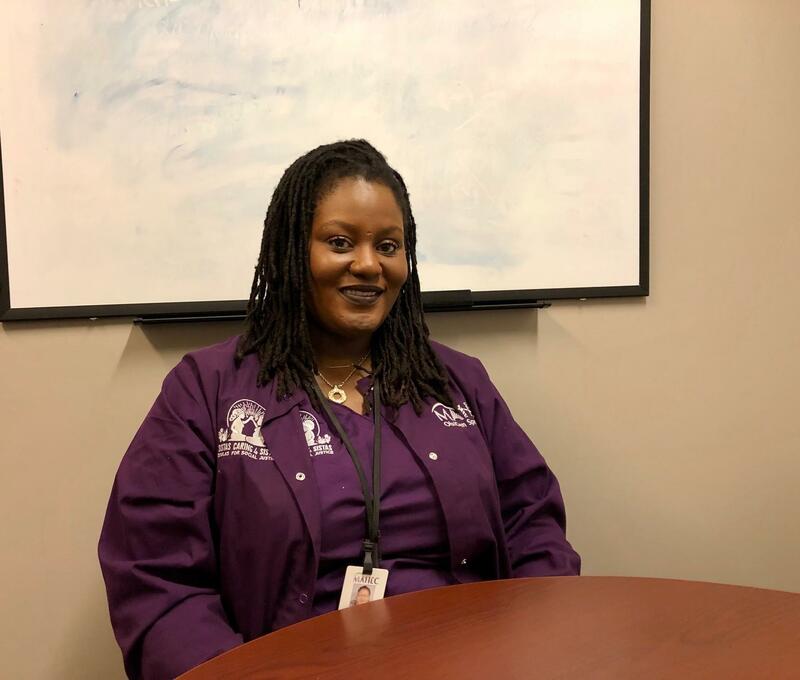 “When we’re working with the medical team, it helps us bridge the gap, between, you can feel comfortable asking for things and knowing that you’re going to get the same quality of care as you would if it was someone else of a different color,” Wakina Norris, who’s been a doula with SC4S since it started, said. Of the women SistasCaring4Sistas has served so far, 78 percent are African American and 3 percent are Latino/Hispanic, according to grant project manager Maggie Adams. The organization also provides doula services to white women dealing with substance abuse during pregnancy. About 17 percent of its clients meet that criteria. Norris says her part of duty is to help expectant mothers come up with a “birth plan” and make sure there’s follow through in the delivery room. “In that moment after they have the baby, sometimes they forget, and I say ‘hey remember, this is what you wanted, this was in your birth plan,’ and then they say it,” Norris said. For example, she says, not wanting the nurse to wipe the vernix the waxy substance on newborns, off their baby’s skin. Studies have shown keeping vernix on after childbirth can help keep a baby warm and support the development of its microbiome. Norris says she’s helped deliver about 40 babies so far. One of them, was born just four weeks ago. Jared Baten rocks her newborn baby boy, Jahir. The new mom is proud to say she delivered her son naturally, without an epidural. But her decision was met with some resistance. Baten has high blood pressure. Baten says the medical team recommended she take pitocin to strengthen contractions. But her doula -- she calls her Kina -- was there to make sure they stuck with her birth plan. Norris also helped push on the areas where Baten felt contractions. And after 22 hours in labor, Norris stayed afterward to help with breastfeeding. Baten says her new baby boy latched immediately. Baten’s story represents one of 77 successful births so far. But that’s not where the relationship stops. The doulas with SistasCaring4Sistas keep up with the mothers they’ve served -- helping connect them to resources like affordable childcare. That’s why they say their work is life-giving, life-saving, and life-changing. Check out this interactive map to explore where your county stands on infant mortality rate. North Carolina’s infant mortality rate is one of the worst in the country—only eight states have worse rates.